We are an established dental practice in the Eastern suburbs which continues to grow mainly due to our clients’ referrals and our commitment to excellence. Our dedicated team work together towards a common vision of optimal dental health for all our clients. We are dynamic individuals who thrive on the constant changes that modern dentistry delivers. Dr Hetal Patel was born and raised in England. He graduated from Guy’s Dental School, University of London in 1995. Over the last 22 years he has forged a career in general dentistry with a strong belief that everyone deserves a beautiful, healthy smile to further enhance their well being and quality of life. He opened his own clinic in England in 2000. This blossomed into a thriving, 5 surgery, cosmetic focused practice that his brother now runs. More recently, Dr Hetal Patel spent the last 7 years working for Healthy Smiles in Blackburn South. Dr Katya Buc is a passionate and caring dentist with over a decade of full-time experience in private dental practice. She completed her undergraduate training at the University of Melbourne, graduating with Honours in 2001 and successfully completed the RACDS Primary examinations in 2004. Katya’s interests are based on preventive dentistry for both adults and children, including the treatment of decay, gum disease, and jaw joint (TMJ) problems. She works well with nervous patients, offering the use of nitrous oxide sedation helping them have their treatment completed comfortably. She is also very experienced in aesthetic dental procedures such as veneers, crowns and whitening. Katya has focused her continuing education over the past four years on interceptive orthodontics, and is using the latest techniques for the correction of malocclusion and facial growth problems in her young patients. Katya joined Smile Style Dental in October 2014, and her friendly nature and caring demeanor quickly puts patients at ease. She enjoys building relationships with her patients and helping them achieve long-term dental stability and excellent oral health. Katya is available for appointments on Tuesdays, Wednesdays, Fridays, and Saturday mornings. 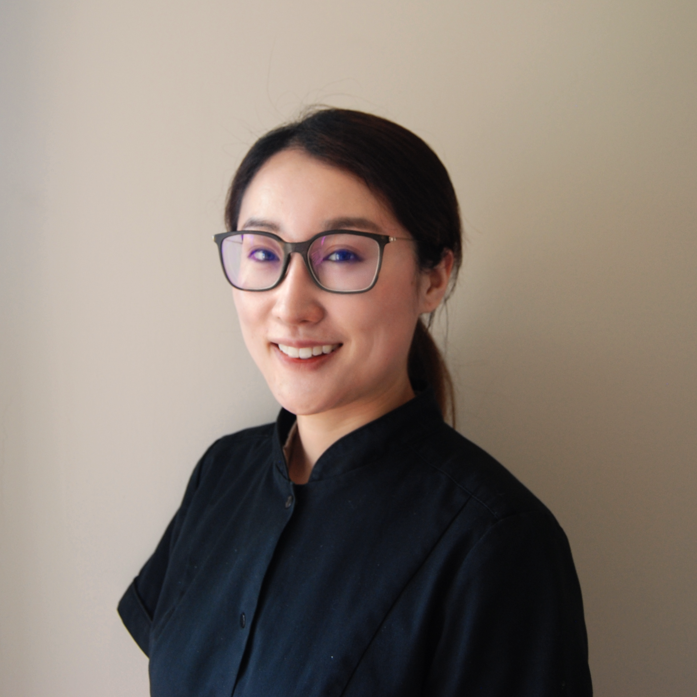 Graduating in Queensland in 2010 as a general dentist, and then relocating to Melbourne, Dr Tanya Lee enjoys all aspects of dentistry, especially being able to help people of all ages achieve not only healthy teeth but harmonious facial aesthetics. She is fully trained in the area of facial cosmetics, offering Facial Rejuvenation treatments, which restores lost confidence in people with lines and wrinkles. This includes anti-wrinkle injections which are designed to relax muscles therefore softening the appearance. Tanya is also passionate about Invisalign which is an alternative to straightening teeth for anyone who does not want fixed braces. Tanya has earned a reputation for her warm and caring approach with her patients, making them feel relaxed and comfortable. Tanya is available for appointments on Thursdays only, so best to book well in advance. Dr Bethany Fisher grew up in Melbourne, before moving to Brisbane to attend the University of Queensland. There she graduated with a Bachelor of Dental Science with Honours. Bethany enjoys all aspects of dentistry, with a particular interest in children’s dentistry. She creates a warm and welcoming environment for her young patients and educates them to commence good oral health from a young age. Bethany has focused her continuing education in paediatrics and has a special interest in volunteering as a dentist in disadvantaged communities treating young children. In her spare time, Bethany enjoys baking, bike riding and watching sport, particularly cheering for the Sydney Swans in the AFL. Adelaide born and raised, Nikki relocated to Victoria and worked in several private practices prior to joining the team at Smile Style Dental. Graduating with a Bachelor of Oral Health from the University of Adelaide has allowed Nikki to share her passion for preventive and minimal intervention dentistry with patients of all ages. She believes that with a welcoming environment, holistic approach and education, optimum oral health can be achieved. Outside the clinic, if you don’t find Nikki exploring the eateries of Melbourne or at the MCG barracking for the Crows, she will be cuddling her dogs. Starting as a dental assistant, Kristy has worked in a variety of general and specialist dental practices. With a desire to expand her dental knowledge Kristy returned to study, completing the Bachelor of Oral Health at The University of Melbourne, graduating with First Class Honours. Kristy has a passion for working with young children, striving to ensure their dental encounter is a carefree and pleasant one. Her caring nature and holistic outlook make children and adults feel at ease, empowering people towards optimal oral health for life. In her spare time Kristy enjoys travelling and action and adventure sports.